Home / Advice / money and savings / wedding organizing / wedding planning / Wedding planning tips / wedding preparation / Do You Plan on Using a Credit Card To Pay for All or Part of Your Wedding? 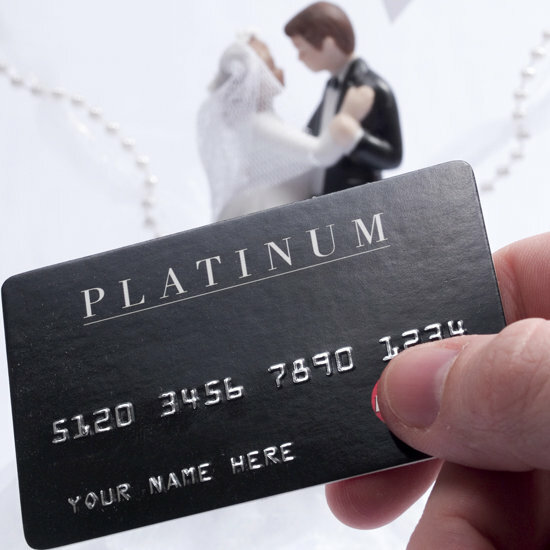 Do You Plan on Using a Credit Card To Pay for All or Part of Your Wedding? Congrats to all you Brides and Grooms on your upcoming nuptials! So, now that you are engaged, your next step is to budget for your big day. Before doing anything, we suggest that you both should have the money talk before moving forward. This will help you understand where you both are in your finances. Option 1- Savings: First and foremost, saving towards your wedding is the key to starting your new life together as a married couple debt FREE. So, think about an amount you want to spend on your wedding (this means how elaborate you want your wedding day to be - elegant, vintage themed, simple/chic, rustic or family styled) and set a time frame you should reach your targeted amount. You can set your wedding for that time frame, also. Option 2- Asking your Parents: You can always ask your parents. If you do, set limits for what they can do and cannot do... this is going to be hard... it's your parents and all, however, you need to. If they agree to pay for part or all of your wedding, draft a contract showing dollar amount, and type- gift/loan, and time you need to repay. Also, include their job functions if you decide on having them play a part in the planning. If not, itemize the do's and don'ts and what you expect from them and have them sign. Give them a copy and keep a copy for yourself. Refer to your copy if things are not going the way you planned and have them do the same. Good luck with this option! Related: How to Ask Your Parents Whether They Are Paying For The Wedding or Not? Last resort- Option 3- Credit cards should be your last choice. If you plan on using a credit card for any or all of your wedding planning or honeymoon, make sure you think it through and come to an agreement before using them. Planning a wedding requires paying multiple vendors multiple payments over a long period, such as caterer, photographer, florist, venue, invitations, just to name a few. Agree on what should be on the credit card and then use that card for that item only; if you add more that one item, keep a record of what those items are. So, before spending outside your budget on your big day, seriously consider the worthiness of each line item... Have the money talk... DON’T LET WEDDING DEBT SPOIL YOUR BIG DAY AND BEYOND!! As you know, the APR on credit cards can be very high and will cost you more than you bargain for in the long run. So, we shopped around and found quite a few that NextAdvisor thinks are the best ones for balance transfers, purchases, and even cash back. For this year, this particular card caught our eyes - Captial One Quick Silver - 0% Intro APR on purchases, for 18 months, then 13.74% and 0% on balance transfers for 18 months. So, take some time and go through the list and see which card is right for you, this is if you do plan on using a credit card for all/part of your wedding/honeymoon or even regular purchases. % Compare Low APR Credit Cards - Credit cards that offer 0% introductory APR rates are a great way to enjoy interest-free purchases. Some of these cards combine a 0% intro purchase APR with a 0% intro balance transfer APR so you can save additional money on expenditures you've already made. Citi recently upped the ante in this market by moving to a 21-month 0% intro APR for purchases and balance transfers on two of their cards, the longest 0% APR we've seen since we've been reviewing credit cards. Some of the below credit cards also include cash back and other rewards for purchases made with your card. Credit Card FAQs. Related: (previous post) At Last, the Secret to planning a STRESS-FREE Wedding! | Make The Money Talk Easier!